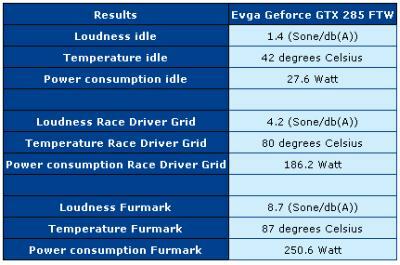 PCGHX has done a quick review of the EVGA GeForce GTX 285 FTW (FTW = For The Win). 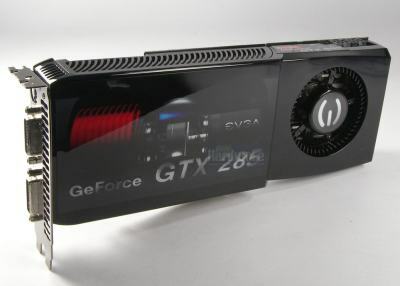 This EVGA’s product is the fastest GeForce GTX 285 on the market and pre-overclocked frequencies almost reach the absolute maximal values. Especially in the stress test Furmark the fan has to work hard to keep the card cool. It is running at 95 percent and doesn’t leave a big margin for further temperature raises – the noise level reaches 8.7 sone which is quite loud.